How do states establish and maintain authority over the populations and territories they claim to govern? How do they eliminate internal rivals and create new collective identities that build solidarity between the state and the governed? This book manuscript examines how the Chinese Party-state mass mobilized violence against local elites shortly after taking power and the implications of this mobilization process for the entrenchment of its authority. My central argument is that the Party-state established and deepened its authority over society through the use of moral appeals aimed at discrediting local elites and legitimizing mass violence against them. In doing so, it delineated new moral boundaries that separated the “oppressive” landlord class from the “righteous” masses, which became crucial mobilization identities after the campaign: the Party-state called on the “the masses” to participate in repeated economic, political, and repressive mobilization while “class enemies” became the outgroup to be mobilized against. Despite abundant research in social psychology demonstrating the importance of morality in conditioning individuals’ propensities to use violence, social scientists have neglected to explore the processes by which political actors mobilize citizens to overcome the significant moral-emotional barriers to using violence. I argue that political actors can leverage popular morality to alter social boundaries and elicit powerful emotional responses that can justify and mobilize collective violence, a process I term moral mobilization. I illustrate this process by examining the Chinese Communist Party’s mobilization of collective violence in the first few years after the revolution (1949-1953). During these campaigns of mass violence, the Party succeeded in mobilizing communities to engage in violent “class struggle” against millions of so-called “landlords” and “counterrevolutionaries,” despite the absence of salient pre-existing class cleavages. I argue that the Chinese Communist Party mobilized collective violence against these “class enemies” by emphasizing and sensationalizing the alleged moral transgressions of a subset of the landed elite and other members of the community, while simultaneously emphasizing the virtue and victimhood of the masses. Specifically, the Party galvanized collective violence by: 1) delineating a new symbolic boundary between the “oppressed masses” and the “oppressive” and “evil” landlords and counterrevolutionaries; and 2) staging the public performance of certain individuals’ supposed moral turpitude to elicit outrage against transgressors and cultivate empathy for the transgressed. In addition, I argue that, for the Party, the moral mobilization of collective violence in the early 1950s was fundamentally a state-building effort aimed at the symbolic and physical destruction of elites associated with the old order and the strengthening of solidarity between the nascent state and the local communities. ​Contrary to conventional arguments that see state repression mainly as a method of eliminating political threats, I argue that the Party saw public participation in retributive violence as a means of psychologically transforming the peasantry and building solidarity between them and the Party. Significantly, the successful mobilization of collective violence politicized the masses and facilitated further mobilization—e.g. economic mobilization, military mobilization, state repression, etc. Employing a mixed methods approach, I use archival and documentary evidence, oral histories, and an original hand-coded historical dataset of county-level violence to illustrate and explain the process of violent mobilization and the conditions for its success, regional variation in the targets of violence, and the ramifications of this mobilization for other state-building efforts. not explain how the Party-state mobilized locals to dispossess and engage in collective violence against the landed elite. What undergirds state legitimacy in authoritarian regimes? A vast literature has focused on the material foundations of authoritarian legitimacy, with little regard for the way in which regimes also depend on morality to legitimate their rule. This paper investigates the moral underpinnings of authoritarian legitimacy in the context of contemporary China. Through two related online survey experiments, we explore the relationship between regime trust and individuals’ perceptions of the morality of the state’s legal decision-making. We find that individuals are more likely to be dismayed by legal rulings when the state fails to take into account popular moral beliefs, and that this disapproval correlates with lower levels of regime trust. We further show evidence that this relationship is mediated through moral dissonance—i.e. the psychological discomfort generated by perceived injustice. These findings advance our understanding of the moral foundations of regime legitimacy and suggest a more expansive, nonmaterial conception of legitimacy. Under what conditions does online content shift mass opinion to endorse violence? The recent proliferation of online content aimed at inciting mass outrage and violent sentiment has raised significant concerns about how online content may shape mass attitudes and behavior. More alarming is that political elites---from the Burmese military to political parties in India to the American alt-right---have used fabricated, highly moralized content to mobilize popular outrage and support for violence against targeted individuals and minority groups. Yet the conditions under which this style of online content increases popular support for violence and anti-outgroup policies remain unclear. This study uses an online survey experiment to sidestep the significant selection effects between content and individual predispositions to explore the link between content type, outgroup cues, and peer influence on popular support for violence and anti-outgroup (Muslim) policies. We find that content containing moral-emotional rhetoric increases individuals' support for extrajudicial violence, such as detainment, torture, and ``mob justice.'' Signals that other online users support extreme violence increases individuals' likelihood to also express support for extreme violence and to ``like'' a violent user comment. Outgroup cues implicating a Muslim in a criminal act increases support for restrictions on Muslim immigration and increased surveillance of Muslim communities, especially among individuals who score high on symbolic racism, though content type and violent peer influence do not have a significant influence. We do not find strong evidence for the underlying emotional mechanisms behind these effects, though outraged individuals are indeed more punitive and supportive of anti-Muslim sanctions. These findings contribute to our understanding of how political elites can use misleading content to mobilize support for violence and discriminatory policies, and have important policy implications for the debate on content moderation. What kinds of content are most associated with violent expression and hate speech? We hypothesize that articles rich in moral-emotional content are more likely to provoke outrage against targeted individuals and outgroups, which in turn increases individuals’ propensity to use or support violent and hateful expression against them. We use a text analysis of populations of articles and user comments scraped from 72 online media sources that use the Disqus platform to measure correlations between moral-emotional content and user comments that express a desire for violence or contain some kind of attack on an individual or group. Using a novel typology for classifying violent and hateful speech, we annotated a sample of over 12,000 user comments and used this human-annotated corpus to train classification models to classify over 300 million user comments. We find support for our hypothesis that content that contains both moral and emotional rhetoric is significantly more likely to be associated with higher proportions of violent expression. Within comments, we find that user comments containing calls for violence are significantly more likely to contain dehumanizing and demonizing language, target groups as opposed to individuals, and include references to an ingroup identity. ​How do collective memories of the political past affect the way citizens view the political present? 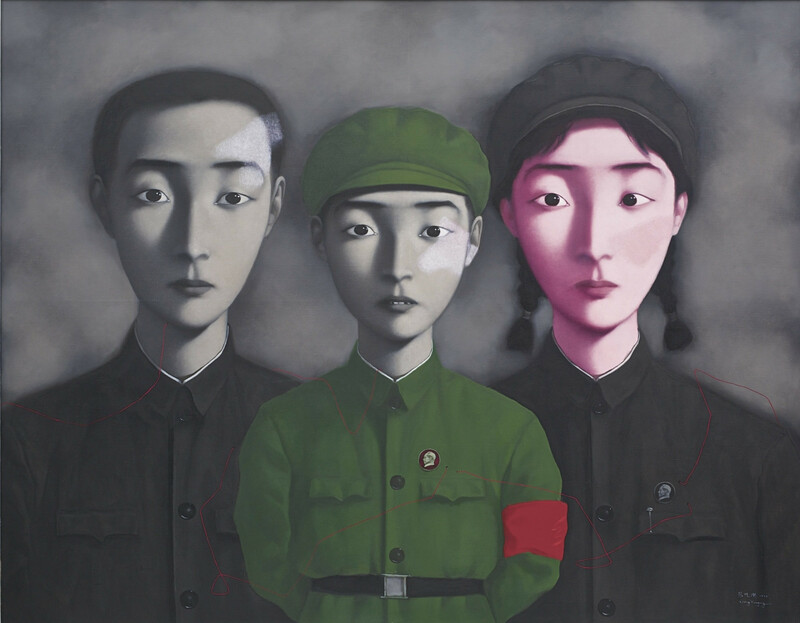 Building on insights from the political and social psychology literatures, we suggest that nostalgic and traumatic memories of the Maoist period affect how Chinese citizens perceive and evaluate issues of corruption and socioeconomic inequality today. We make these claims on the basis of semi-structured interview and survey experimental data.